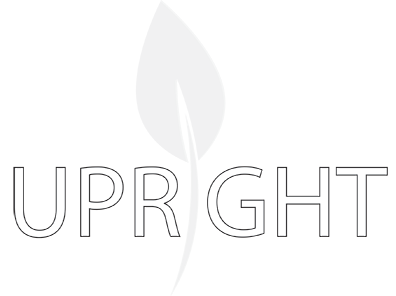 The Directorate of Health, Iceland (“us”, “we”, or “our”) operates the http://www.uprightproject.eu/ website. We use your data to be able to provide the service and to improve the website. We only collect the minimum amount of personal data necessary for the purpose of providing the service, analysing the use of the website, to reply to any inquiries and to be able to provide you with our newsletter if you wish to do so. While using our website we might collect personal data relating to you. Which data and for which purposes will depend on your use of the website. We may also collect data relating to how the website is accessed or used (“Usage Data”). Usage Data may include information about your IP address, which browser you use, when you visited the website, which pages of the website you visited and other diagnostic data. The Directorate of Health never processes such data in a personally identifiable form. Cookies are files with small amount of data that may include an anonymous unique identifier. Cookies are sent to your browser from the website and stored on your device. Tracking technologies also used are beacons, tags, and scripts to collect and track information and to improve and analyse our Service. Most web browsers automatically accept cookies. If you do not wish to allow cookies you can find information on how to disable them or delete certain cookies for your browser at www.allaboutcookies.org/manage-cookies/. Session Cookies. Are necessary to be able to provide the service. Preference Cookies.Are used to store your preferences and to adjust the website to your browser. Security Cookies.Are used to ensure the security of the website. Your data is processed within the European Economic Area. If you subscribe to our newsletter information regarding your email, address will sent to our newsletter distribution partner Mailchimp. Mailchimp is located in the United State and is a participant of the EU-US Privacy Shield Program, which guarantees an adequate level of data protection. Your personal data will not be disclosed unless the Directorate of Health is legally obliged to do so. Your data will be protected by appropriate technical and organisational means taking into account the risk associated with nature of the data we collect. Our webpage may include links to other sites, such as our Facebook and Twitter pages. The collection, use and storage of information on other websites is subject to the privacy policies of the website providers.